Both of these anthologies do not really consider questions of race and/or astrofuturism and thus this topic cannot be covered with this anthology. Should you be interested in using an anthology, these two books are the go-to option for questions on astrofuturism. Charles Schuyler, “Black Internationale” and “Black Empire” (Pittsburgh Courier, 1936-38) – Excerpts are available via Google Books. Yaszek, Lisa. 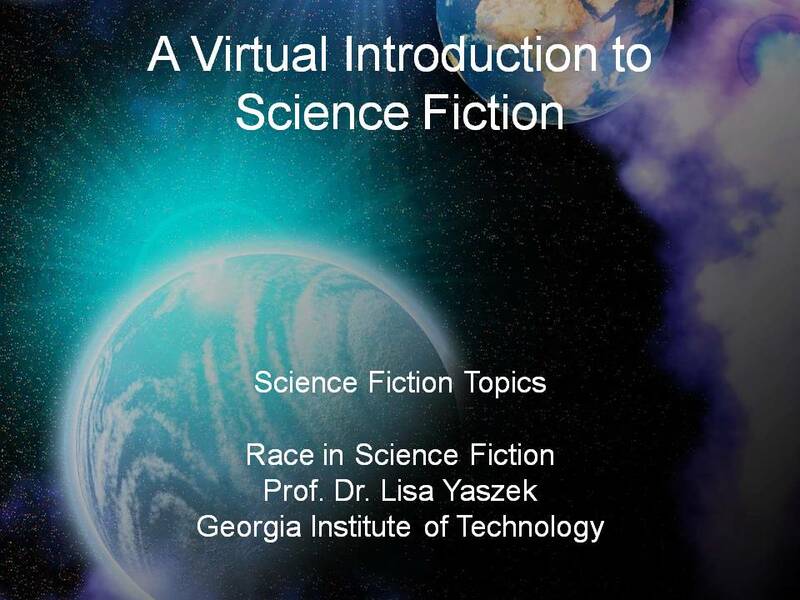 “Race in Science Fiction”. Video Lecture. A Virtual Introduction to Science Fiction. Ed. Lars Schmeink. Yaszek, Lisa. “Race in Science Fiction: The Case of Afrofuturism”. A Virtual Introduction to Science Fiction. Ed. Lars Schmeink. Yaszek, Lisa and Lars Schmeink. “Race in Science Fiction”. Web Page. A Virtual Introduction to Science Fiction. Ed. Lars Schmeink. Web.